I make a sprouted grain bread using wheat berries. I was sick of dropping $5 or $6 for a loaf of Ezikel, so I decided to make my own! It’s a bit time consuming but so very worth it. The most new to me food I’ve tried is probably chia seeds, which I got into a couple of months ago. The other day, I tried a new to me recipe for killer tomato ‘bread’ recipe which is to die for. Wow how cool that you sprout your own grains! That’s something I’ve been wanting to do for a while but just haven’t gotten around to. Not sure if you have a TJ’s by you, but the Ezekiel 4:9 is $3.99/loaf there, which isn’t GREAT but it’s cheaper than other places. No TJ’s sadly. That’s what I get for living north of the border. 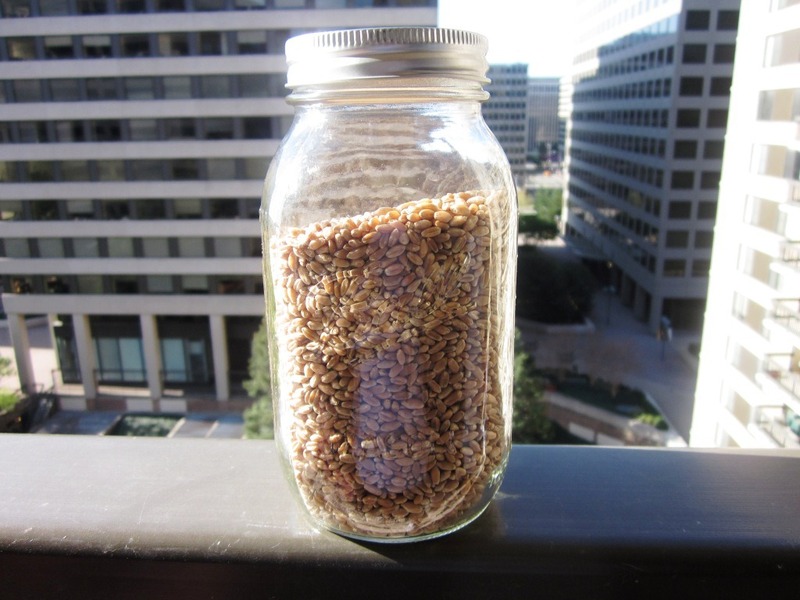 Sprouting grain is easy, or at least it is with wheat berries. It is however a practice in patience. O.M.G…I can’t wait to go out and get some! 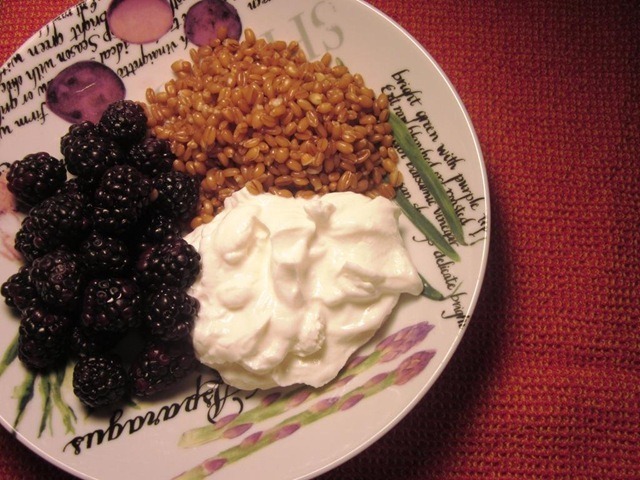 That plate of berries, berries and yogurt looks delish! 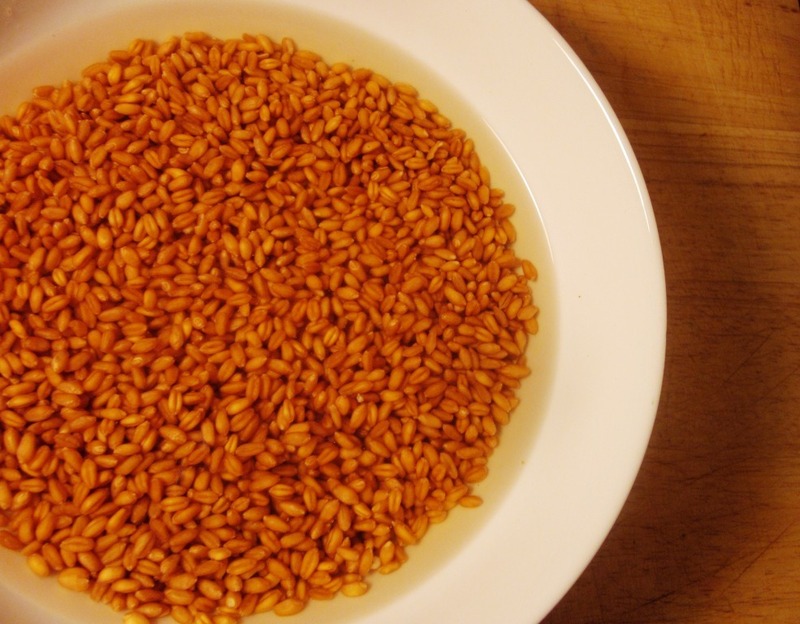 I have never tried wheatberries, but they look interesting! New-to-me food — probably nutritional yeast. I haven’t used it much but I like what I’ve made so far! I have some nutritional yeast in my pantry but I’ve never used it. I think they should change the name – it sounds so unappetizing but I’m sure its good! Yum! I love this post! I’ve never tried it but definitely want to. I need to incorporate some healthy grains more often! Thanks for this post! I just bought wheat berries on impulse yesterday and was just wondering what to do with them. Yum! I have never tried wheatberries but have been meaning to for a while. My “new to me” food from the last year is brussel sprouts…I hated them growing up and they definitely don’t smell good (which was what turned me off in the first place) but prepared the right way and they are delicious! Brussels have such a bad reputation but you are right – prepared right they are delish! I’ve been making these for a few weeks now. I’ve never soaked them. What’s the advantage to soaking? You know I’m not sure, I just went by the Bulk Bin thing I got from Whole Foods way back when. i just looked it up and google gives mixed results. I think soaking them does make the cooking time a lot shorter, but maybe you don’t have to! I always do. Thanks for posting this Beth! 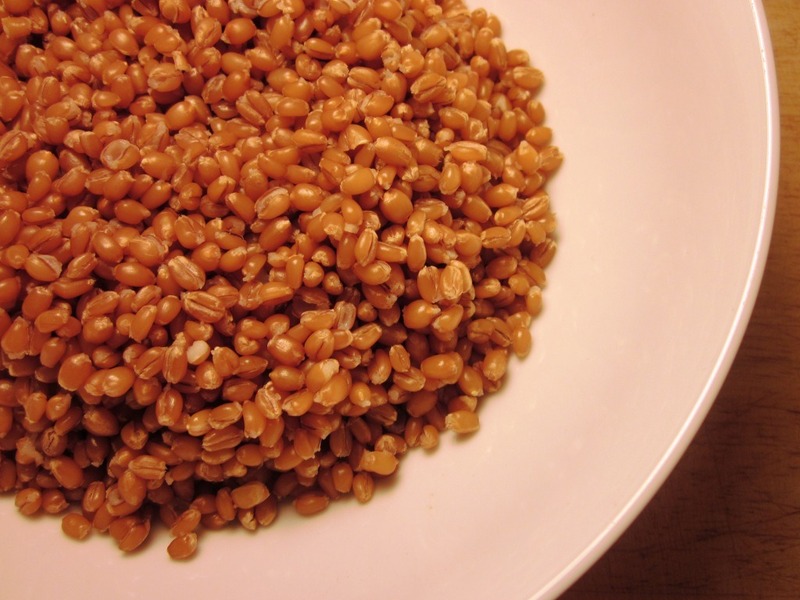 I have been wanting to use Wheatberries (I know they are popular too – the bulk container is almost ALWAYS near empty at Whole Foods) … I just have not really known enough about them to use the properly. Now I do! I’ve been on a Quinoa quick lately. I just started using at in the new year and LOVE it! I use it instead of rice! 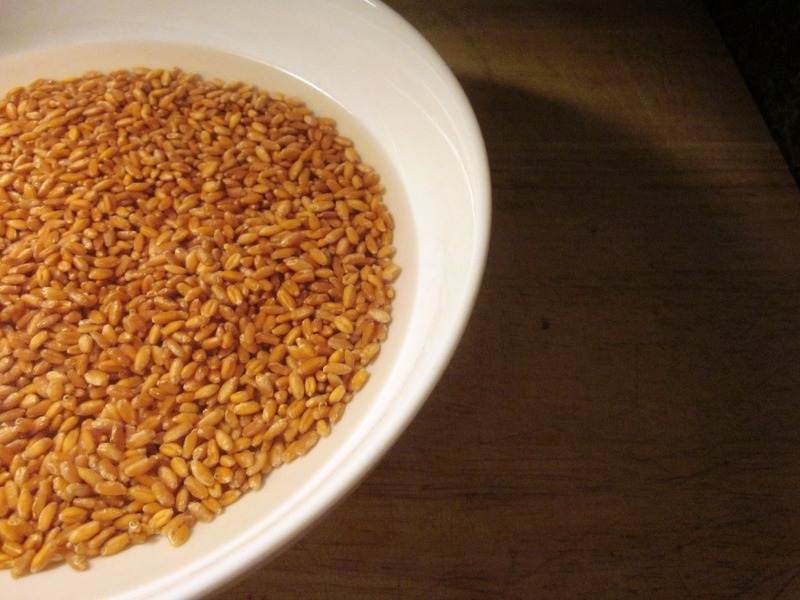 I bought wheatberries and need to remember to make them! It’s the 8 hour soak that gets in my way. OOOH…thanks for this Beth. 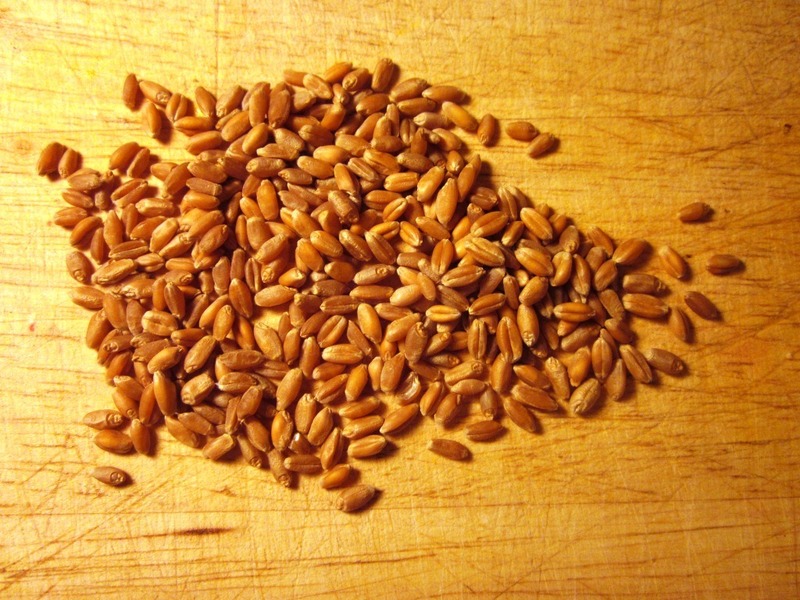 I’m going to go out and get some wheatberries soon and give them a try. I will def be getting some wheat berries at Wegmans!!! They look delicious and so healthy too! I’m def curious about these! I’ll have to pick some up next time I’m at WF or Weggies! 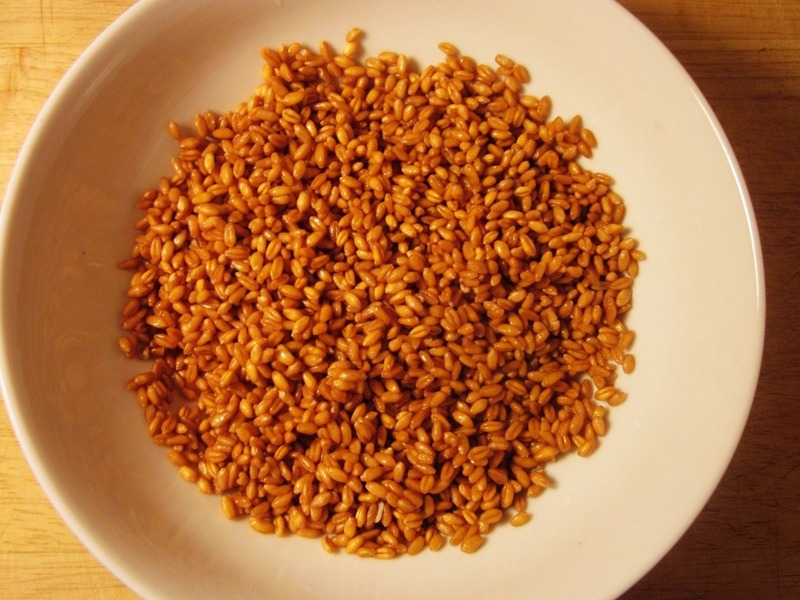 I am from Denmark and use often what you call Wheat berries in my cooking to substitute rice or pasta. But I have never heard that they need to be drained before use. I just rinse then and cook them max for 20 min. I like they still have a good bite, but can of course be cooked to you get the texture you like. When I use them in my breads and buns I either soak them for 30min or cook for a couple of min. You should also try the rye and barley version if you can get them in the states. They have a more nutty flavor and are higher in fiber that wheat. I’m with Marla, I never soak mine, just rinse and throw them in a pot with water and bowl til tender. I make a bunch at one time, drain them, and freeze the extra. Then I pull them out and use them in everything. My yogurt in the morning, stews, stir frys, salads. Love them! They are so versatile and take no time to defrost. Put that nutritional yeast on your popcorn after it comes out of the microwave. It has an incredible buttery/salty/cheesy taste and also goes great on a baked potato!